But no yarn books, darn it. multiple shelves of books on watches and more shelves on woodworking. 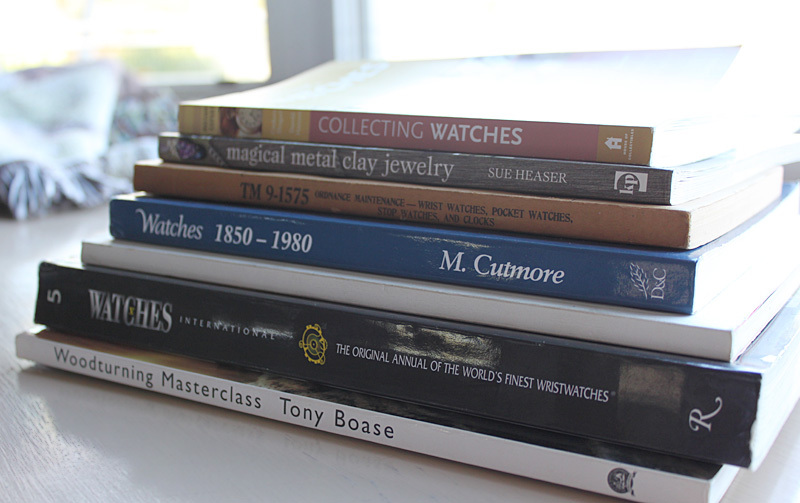 (The white book with no name on the spine is on Cartier watches.) As for me? Bah humbug. Their entire selection of textile craft books consisted of two crochet books, one knitting book and nothing on weaving, spinning, bobbin lace or any other textile arts. Oh well, the hubs was very (very) pleased with his finds. Lunch was at a small deli we found by accident; it was next door to what was supposed to be a yarn shop (bad Google) but was actually a hair salon. 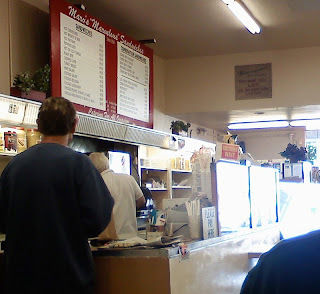 Marv's Deli has been in business since 1954 (a very good year); the chicken noodle soup was good and Herman piled the freshly cut roast beef super-high on the sandwiches. We each ate half a sandwich and brought the other halves home for dinner. Fortunately for me, Google didn't mislead us about the Stitch Cafe. It was alive and well; a small shop with a nice, upscale selection of yarns and friendly staff. 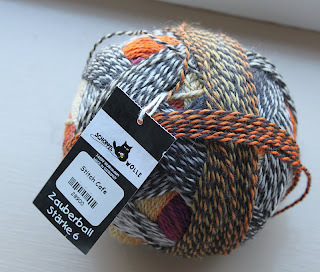 I found one yarn that needed to come home with me - Zauberball Starke 6. There's only 437 yards in this ball (and at $34 I wasn't buying two) so I think this will become a small shawl, just enough to keep my neck warm. Doubt I'd go back here though; I've been spoiled by Anacapa Fine Yarns, Loop and Leaf, and Unwind where they wind your yarn for you; let you look at books before you buy them; and don't have 'don't do this' signs up all over the store. I'm glad I went, glad I found a yarny treasure, and glad I have local yarn stores that I love. Fantastic, but $34? 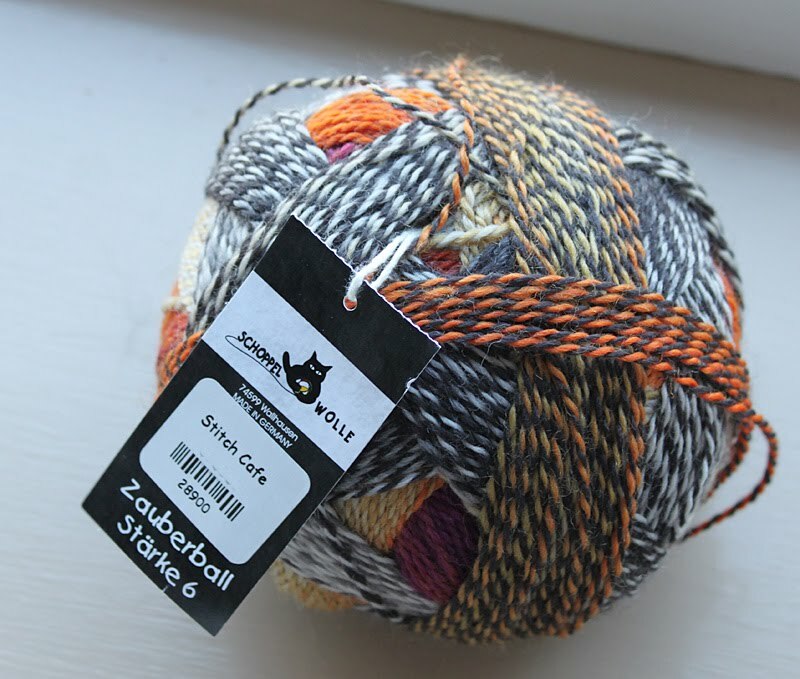 Maybe I haven't paid much attention to the price on our Zauerballs ;).